I have had the chance to work with both the cheer team and dance team for Mead High School this year and now I get to add the Jazz Choir to my list! This elite group of 12 represents sophomores, juniors, and seniors at Mead High School and were chosen after nearly two weeks of auditions. There are 8 returning members. 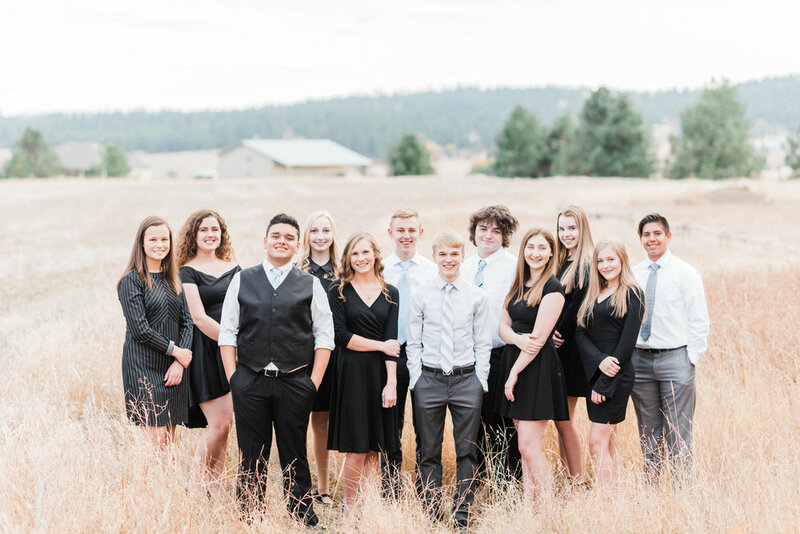 The Jazz Choir sings for nearly every home athletic event (football, basketball, volleyball) in the fall and winter, performs at school assemblies, competes at festivals throughout the year across the region, and performs for other special events. In total, there are about 65 performances on their schedule! Just after the holiday break, this talented group of high schoolers are heading into the recording studio to track several songs. In March, they will compete at the Friends of Frank DeMiero Jazz Festival in Edmonds, WA and in April you will find them at the Monterey Jazz Festival in California. The choir can be heard next on Monday, December 10 as part of the Mead Choir's Annual Christmas Festival performance. The concert, This Place Inside My Heart, will be at 7 pm at The FOX Theatre and will feature Concert Choir, Chamber Singers, and Jazz Choir. It is free to the public. And just for fun…this happened!